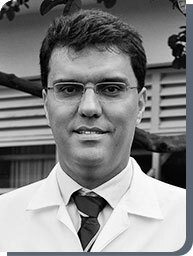 Alexander Moreira-Almeida, MD, PhD was trained in psychiatry and cognitive-behavioral therapy at the Institute of Psychiatry of the University of São Paulo, Brazil, where he also obtained his PhD in Health Sciences. Formerly a postdoctoral fellow in religion and health at Duke University, he is now Professor of Psychiatry at UFJF's School of Medicine and Founder and Director of the Research Center in Spirituality and Health, Brazil. He is Chair of the WPA (World Psychiatric Association) Section on Religion, Spirituality and Psychiatry and Coordinator of the Section on Spirituality of the Brazilian Psychiatric Association. His main research interest involves the mind-brain relationship and empirical studies of spiritual experiences as well as the methodology and epistemology of this research field. Most of his publications are available at the Electronic Library in Spirituality and Health (ELSH). He edited the book Exploring Frontiers of the Mind-Brain Relationship (Springer, 2012). This work argues against the purely physical analysis of consciousness and for a balanced psychobiological approach, and bridges philosophy of mind with science of mind to empirically examine transcendent phenomena, such as mystic states, near-death experiences and past-life memories, that have confounded scientists for decades.